I did this Dramatic Reading Remix assignment for 3.5 stars. I found Chelsea Irizarry’s Shadow Theme Song and thought it sounded really cool. I decided to do a dramatic reading of Frank Sinatra’s The Lady is a Tramp, because I’ve established it as Delia’s favorite song. 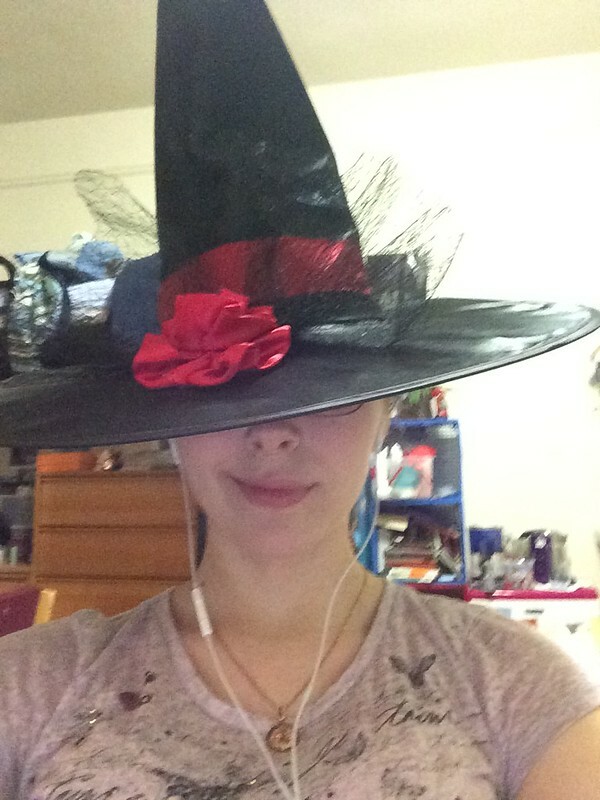 Dramatic readings are one of my favorite things- I have a special hat for them. Yes, I was wearing it while dramatically reading lyrics. I recorded the lyrics in audacity and then imported the theme song. I then added silence to space out the lines in order to make the whole thing flow better. I also put the sax solo where the instrumental solo is in the song itself. The theme song actually went surprisingly well with The Lady is a Tramp- I was expecting a terrible disaster! I did normalize my voice and made the song quieter, but there was very little other editing done. I’ll see how I feel about this in the morning since I’m incredibly tired, but right now I’m feeling pretty good about this remix. As always, criticism is welcome, wanted, and appreciated! We need to do a DS106 Greatest Hits compilation. This is one of them.